Prizm Media Inc. ranks #52 on the 2014 PROFIT 500 - Prizm Media Inc.
VANCOUVER, B.C. (June 12, 2014) – Prizm Media Inc., a Vancouver based lead generation and technology firm that helps companies accelerate sales cycles, today announced that it has been named No. 52 on the 26th annual PROFIT 500 ranking of Canada’s Fastest-Growing Companies by PROFIT Magazine. 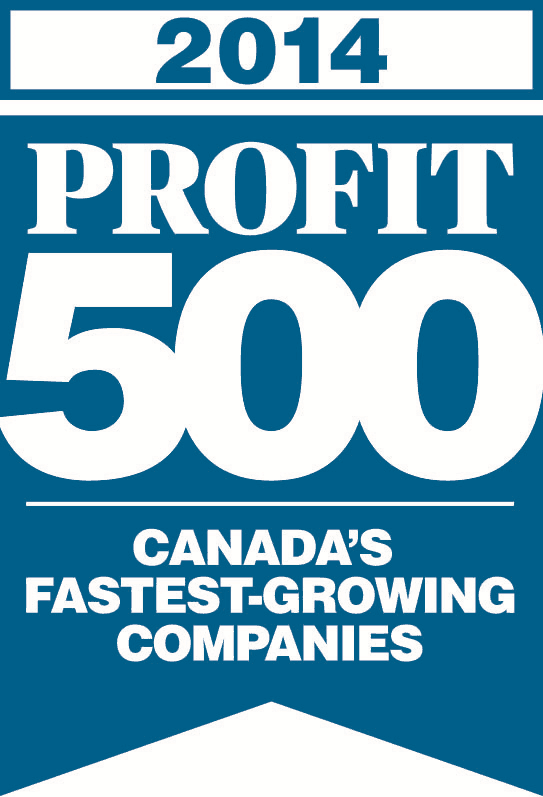 Published in the July issue of Canadian Business and online at PROFITguide.com, the PROFIT 500 ranks Canadian businesses by their revenue growth over five years. Prizm Media Inc. made the 2014 PROFIT 500 list with an outstanding five-year revenue growth of 1285%. Prizm Media’s core strength lies in its ability to combine effective and compliant performance based marketing initiatives, with proprietary technology and processes. The company has been recognized as one of the top twenty-five private companies on the Rocket Builders’ 2014 “Ready to Rocket” ICT list. Additionally, Prizm Media was also named as a finalist for the 2013 Better Business Bureau (BBB) Torch Awards, which acknowledges entities that strongly adhere to BBB Standards for Trust and compliance. Prizm Media Inc. is a full service lead generation and technology firm that helps companies accelerate sales cycles through effective and compliant performance based marketing initiatives. The company caters to the mail order medical supply, healthcare, wellness, pharmaceutical, and durable medical equipment industries in US and Canada. With over a decade in business, Prizm Media Inc. has grown to be a leader in traditional and online lead generation for the health care industry. Headquartered in Vancouver, British Columbia, Canada, Prizm Media Inc. supplies over 50,000 leads monthly for the health care vertical.